You are here: Home / All Posts / Imps, Monsters and Hillgrove! Oh My! Imps, Monsters and Hillgrove! Oh My! Justin Hillgrove really likes his monsters. And imps. And robots. And any other delightful, mischief making, creature. He’s just that kind of guy. 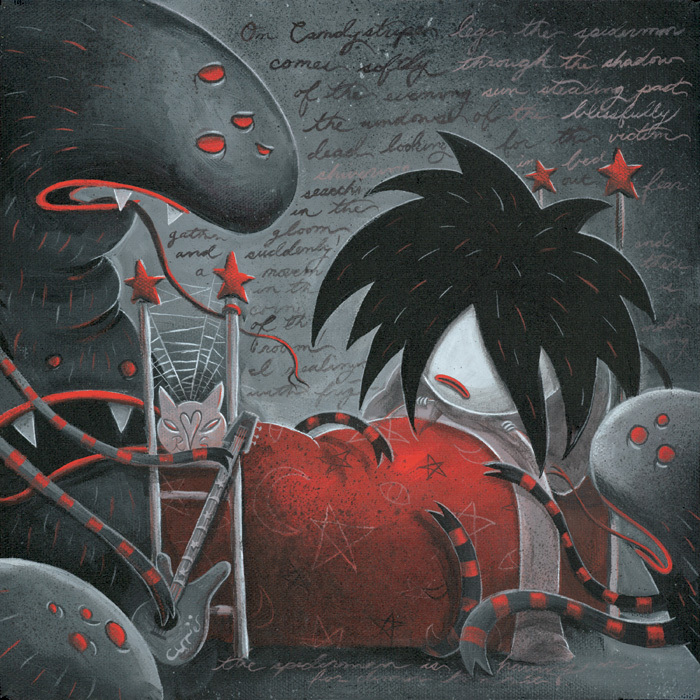 His work, much like a prior post Creepy Kid Art: Post It!, has strong Tim Burton, Edward Gorey and Maurice Sendak influences. It is his ability to make that which is creepy into cute, and vice versa, that makes his work such a success. Hillgrove works in paint, watercolor and does 3D models. It was actually his watercolor work that really blew me away. He is just so good with a medium that is so hard to use effectively. 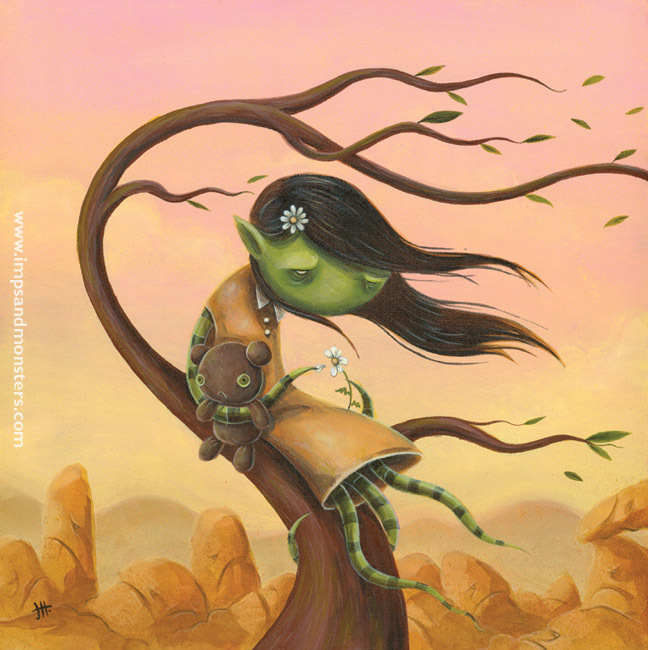 Justin Hillgrove, for all the imps, monsters and robots you create Give Us Art! Salutes you! 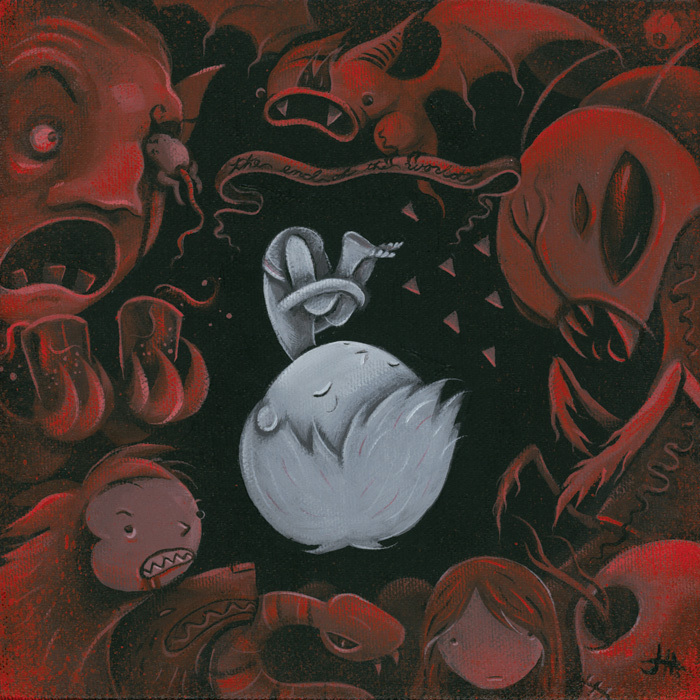 All images and work copyright Justin Hillgrove 2011. 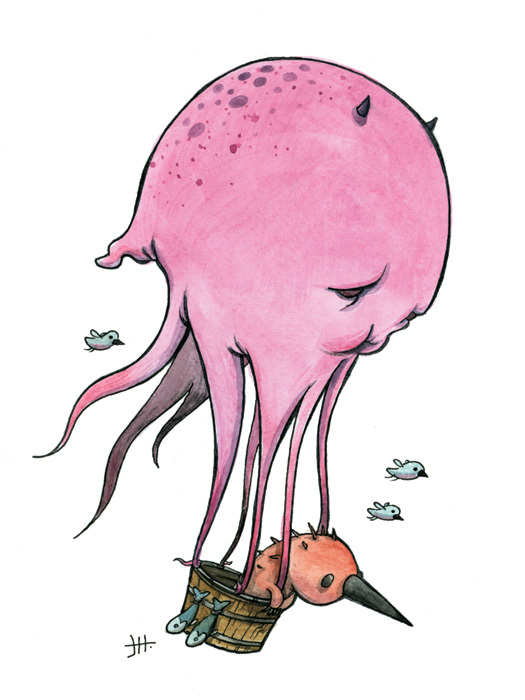 To see more of the wonderful world of Justin Hillgrove head on over to his website Imps and Monsters! « Dark, Powerful, Visceral: Obi Kaufmann!